Some days life just runs me down! No I don't mean I physically get run down lol, I mean I feel worn out, beat, out of gas and I just want a minute to myself. Or several or heck maybe just a whole hour. For days likes this I do have 3 things I turn to reading, watching TV or taking a nice long bath. Some times I feel guilty. I know there is laundry to be done, the fridge needs to be cleaned out, dishes are in the sink, homework needs to be looked over, I need to vacuum, mop, dust, organize that dreaded closet, swap out winter and spring clothing and clean up that mess in the backseat of my car from where the kiddos spilled their snacks today. The thing is I want to do all those things 100% I don't want to be at 10% and just going through the motions. So taking a little me time is necessary. And this is how I do it! First I complexly fill my tub with warm water. As it is running I add my favorite bubble bath and my Keeva Bath Bombs. 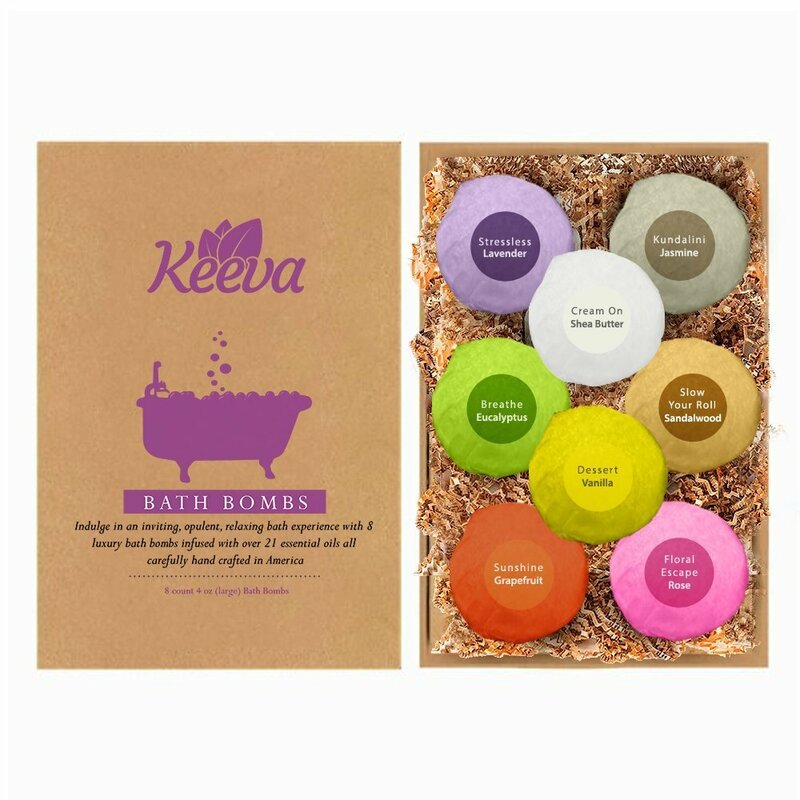 Nothing else is needed thanks to the Keeva Bath Bombs they have 21 essential oils in them to make my skin soft and smelling great. Not to mention since they are essential oils they have natural benefits my favorite is lavender perfect for scent to unwind too!! And I can soak my entire body! Hair and skin, again and I know I have been annoying with this lately.... BUT I cant get over all the benefits of essential oils, I can't believe I have not used them my entire life! Okay so the bath tub is ready, but it isn't time yet. Light a candle or two. And turn out the lights, this dimming effect will help to relax you even more. Turn on some low music, something calming! At this point I like to get a warm damp wash cloth and drop a few drops of my lavender oil onto it. I normally place this over my eyes as I relax in the tub. Finally get in the tub and just relax. No stressing over what needs to be done. This my sound dorky, but I sometimes practice my deep breathing techniques.